This month has been interesting. 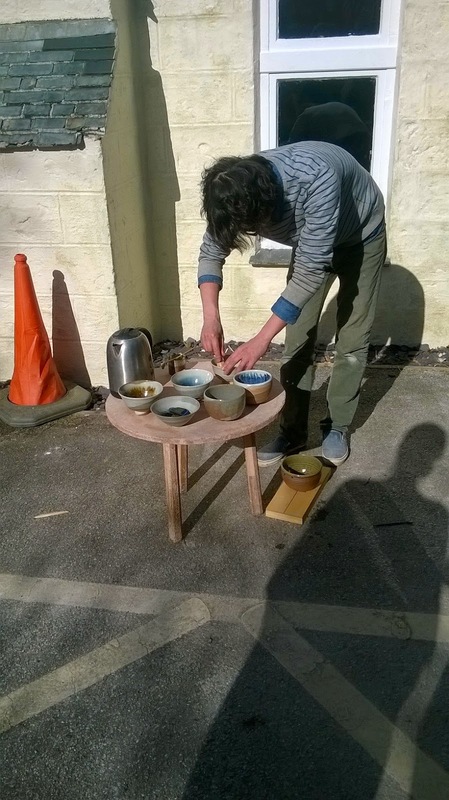 We have had a visiting potter from Japan. Yusuke Matsubiashi, he is the 16th generation potter of his family. His great uncle helped to build the climbing kiln in the old Leach Pottery. Yusuke came to St Ives to retrace his great uncle's footsteps. He has told us all about his uncle's experience and shown us images. It has been great to see him working and to learn about his family and his work. 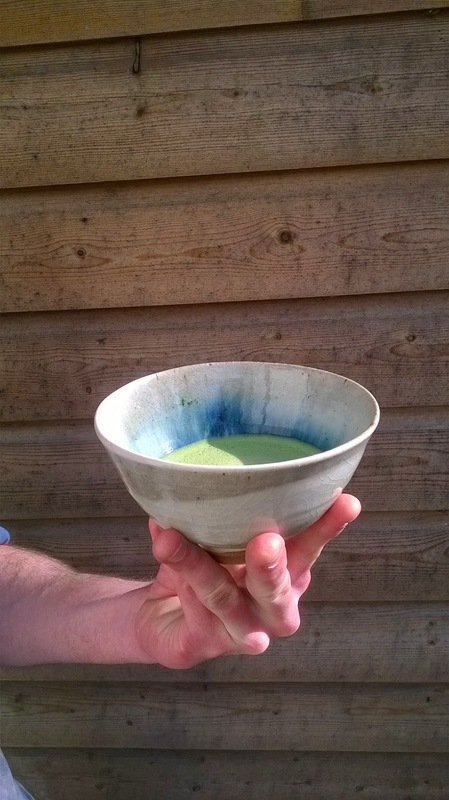 On his last day he made us Japanese tea, served in some of the tea bowls made during his time here. The work has been made using a combination of our clay the the Matsubiashi family clay, marbled together and decorated using our glazes along with the Matsubiashi family glazes. One of our production throwers, Kat Wheeler, came back from a 3 month trip to Japan. She has been working at the Hamada pottery in Mashiko. It has been great to hear all about her experience and it is good to have her back in the studio. We also said goodbye to a potter. Ian Morrison, a volunteer potter from Arkansas, America. He spent a year working in the pottery as a production thrower. So there has been a lot of changes in the studio. As always we have been working on a big SeaSalt order involving mugs, jugs, tiles and statement pieces. I made a lot of the medium sized jugs for this order, which was a good challenge. 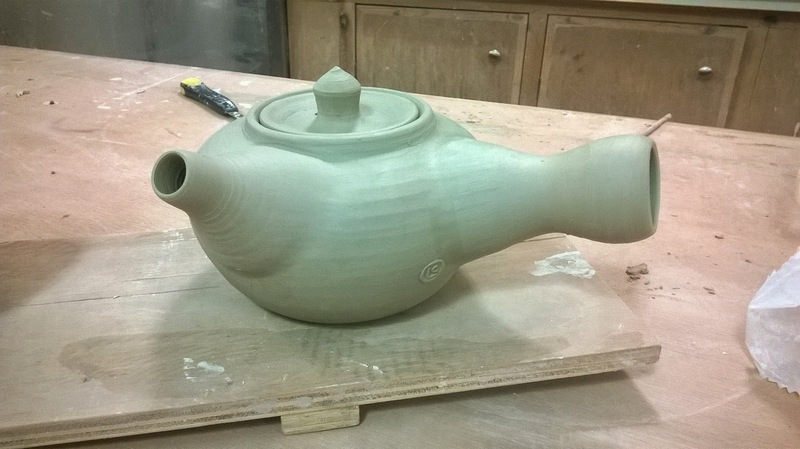 I have also been making tea pots for my own work, as well as more platters and mugs. I am happier with the glaze results on my new pieces.